New life-saving technologies developed at special gathering of medical volunteers and professionals. 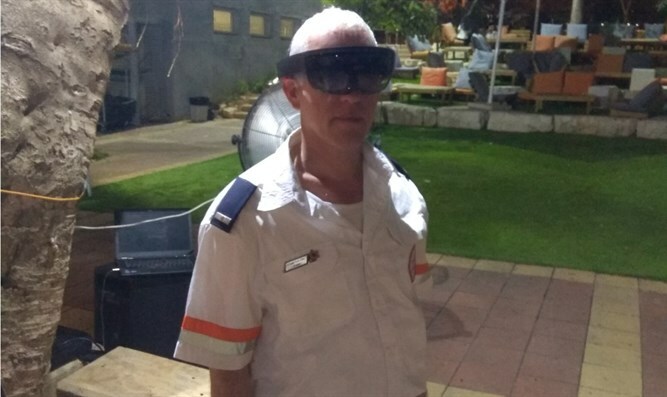 Last Friday concluded the first "MDAthon" for developing life-saving technologies for Magen David Adom, in cooperation with Afeka Engineering College. Among projects at the MDAthon: a smart drone for treating multiple casualty incidents, an easy mobility chair that allows lowering patients down stairs with the help of only one other person, and augmented reality for training. As part of the MDAthon, technology, product, and content professionals gathered to work on emergency medicine technology projects. MDAthon participants were divided into small teams, each working on a solution to a life-saving problem. About 60 people participated in the MDAthon. Among them were MDA volunteers and workers, mechanical engineers, medical engineers, electrical engineers, industrial and management engineers, robotics experts, engineering students, medics and paramedics, doctoral students in medical sciences, and doctors. All teams developed prototypes for technologies that will lead to shortening the response time of MDA teams, as well as developing new training methods. Yuval Eran, a paramedic at MDA and a medical engineering student at the Afeka College, was mobilized. Thanks to his persuasion, Afeka management provided the engineering and physical infrastructures and enabled the MDAthon to hold events in their campus. During the conference, MDA provided participants with an overview of the technological means currently in place in the organization and the rescue vehicles it uses today. Additionally, Afeka provided them with laboratories, equipment, and staff. The MDAthon was accompanied by MDA and Afeka mentors who gave support to all competing teams and answered technical and professional questions. MDAthon's winning team was chosen by a panel of judges composed of MDA Vice President Prof. Moshe Papa, MDA Deputy Director Dr. Eli Yaffe, MDA Paramedic Yael Kadman, Vice President of Development at Afeka College Mr. Alon Barnea, and Afeka College Student Association Chairman Raanan Kelner, a student of medical engineering. Among projects that were presented: "Training wheels 8150" took 1st place. Batel Segal, Or Ben Yair, Perach Abutbul, Oriel Valeniak, Gili Vinograd, Daniel Shilo, and Itamar Rabinstein designed a modular system to be installed on existing ambulance chairs, allowing ambulance crews to safely lower a patient down a staircase using 1 EMT as opposed to a minimum of 2 currently. 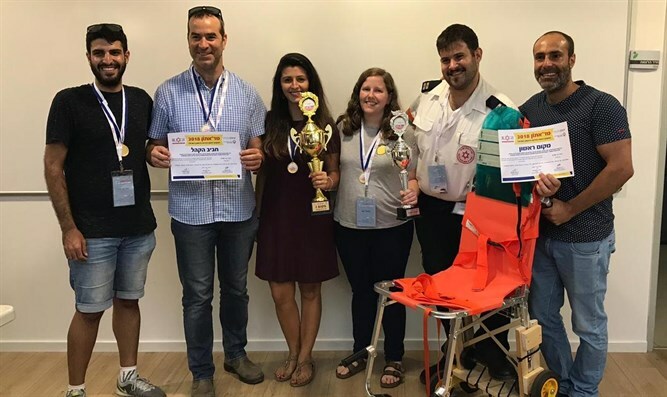 2nd place was taken by team MDAR, Shy Raanan, Nitzan Golovinsky, Urial Golan, Yonatan Gedalia, Ilya Altschuler, and Ely Hirschberg, who designed an augmented-reality training system that utilizes low-cost mannequins to allow MDA crews nationwide to enhance their skills even out of the classroom. 3rd place was taken by team MCI Drone: Omer Perry, Assaf Cohen, Bat Dror Lugasi, and Omer Effrat designed a drone equipped with a video camera and artificial intelligence to autonomously map the scene of a mass casualty incident and provide preliminary information about the number, location, and condition of patients on scene. AFEKA Engineering College Vice President of Development Mr. Alon Barnea said: "We were happy to host the first MDAthon in Israel at Afeka College, and proud that the initiative to bring it to the College came from our students who volunteer in MDA in addition to their studies. We encourage are students, the future engineers, to be an inseparable part of the community and the real world and to express both their engineering excellence and their values. I'm certain that cooperation with MDA, which blends in perfectly with the school of medical engineering, will create additional collaborations that will contribute to the society and the community around us." MDA Vice President Dr. Eli Yaffe said: "MDA volunteers come from many different professions and thus have extensive and diverse experience. 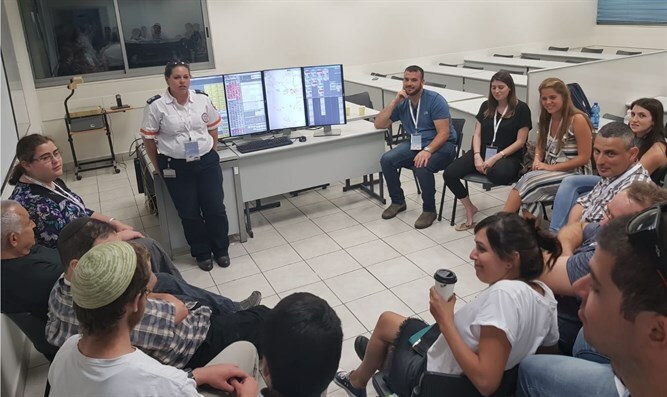 The wisdom of these volunteers who work in high tech, the IDF, and many other places can be expressed and contribute greatly in the field of emergency medicine. The selection of the top projects was difficult but as far as I'm concerned, we all won, thanks to the volunteers' involvement in this important and moving project." MDA Director General Eli Bin said: "On behalf of all citizens, I thank all of the teams for your efforts to help MDA continue to develop a variety of technologies aimed at shortening the response times and raising the chances of saving lives wherever needed. The MDAthon was an initiative that was born out of a desire to expand the range of means at our disposal, and at that we were successful. I thank the management of Afeka College of Engineering for its cooperation."